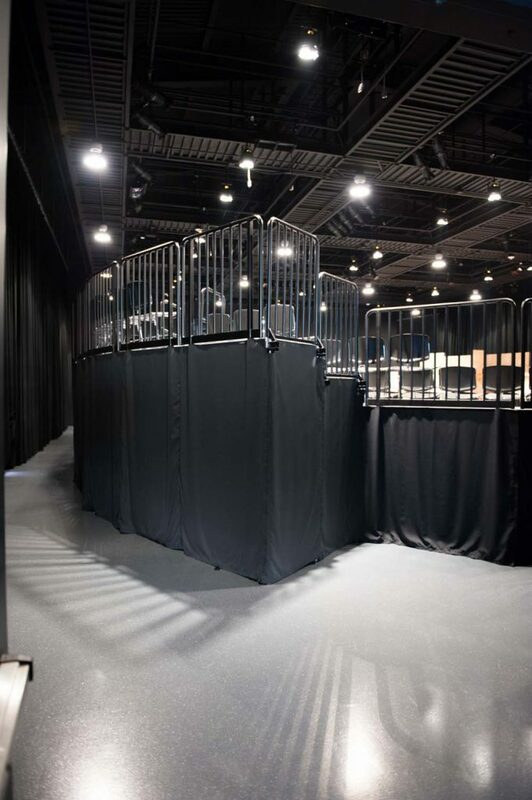 The Torrington flexible Black Box facility uses a combination of ML-1600 and ZHD-ML supports. 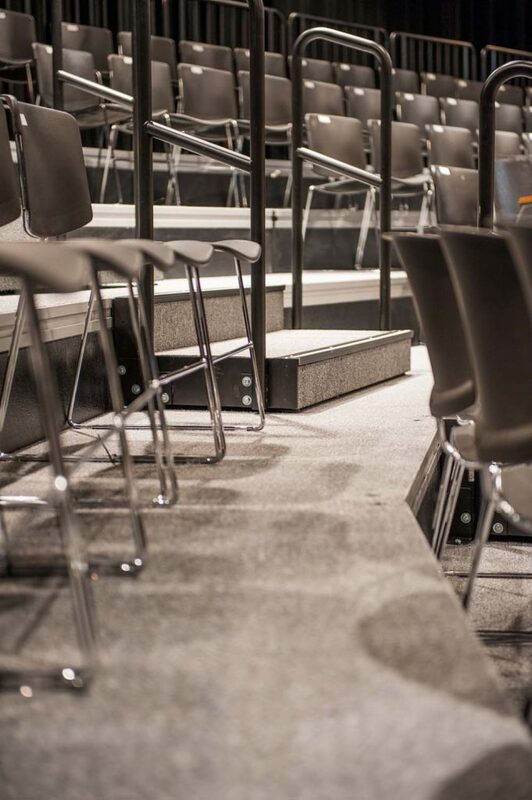 Fast and easy ML-1600 accordion fold and roll risers provide support for the large central bank of seats. 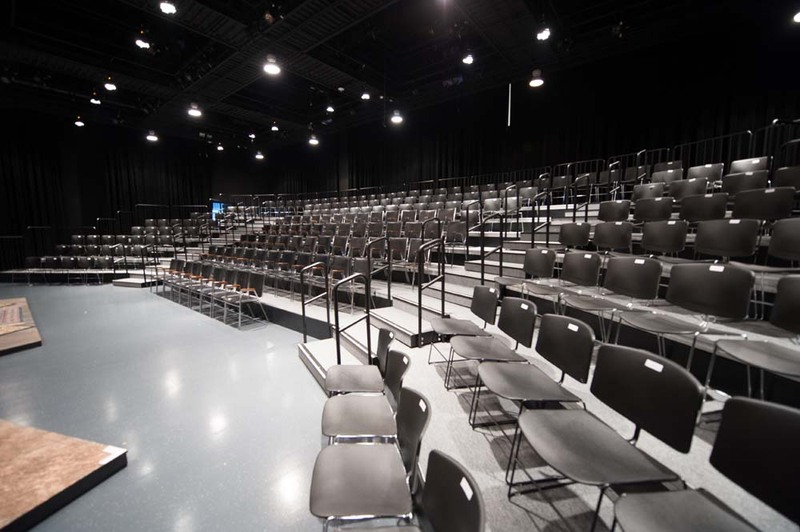 Additional seats, as well as configuration flexibility are added with the easy to use modular ZHD/ML supports. 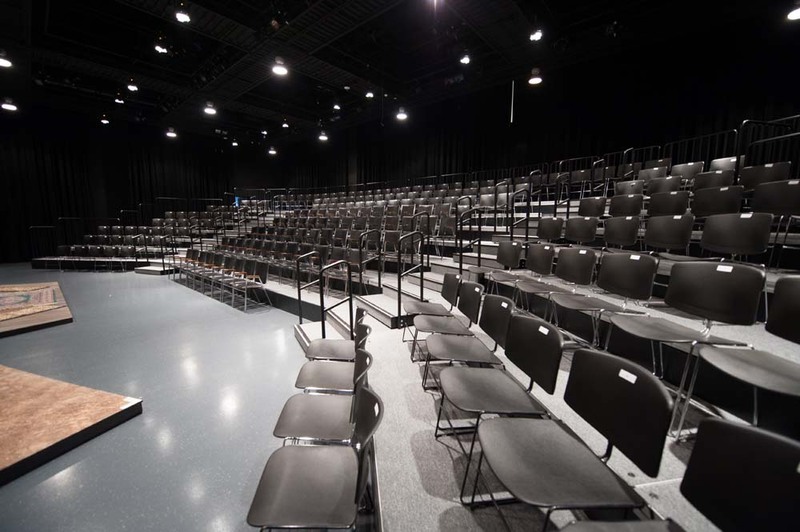 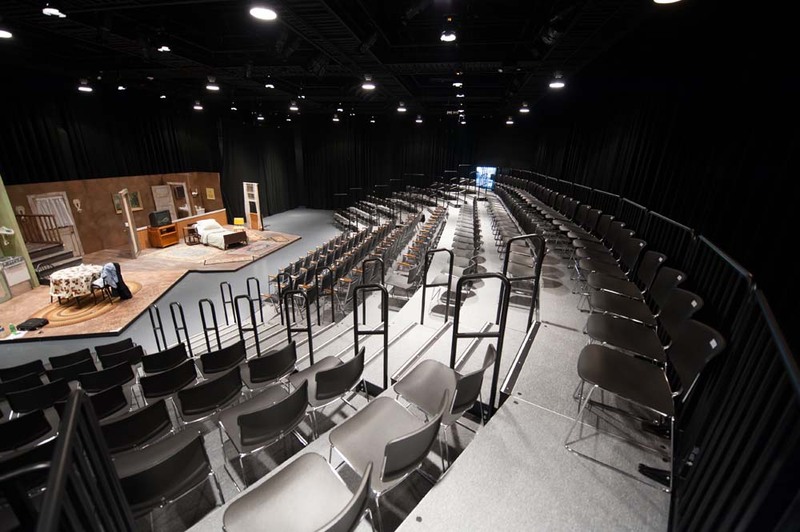 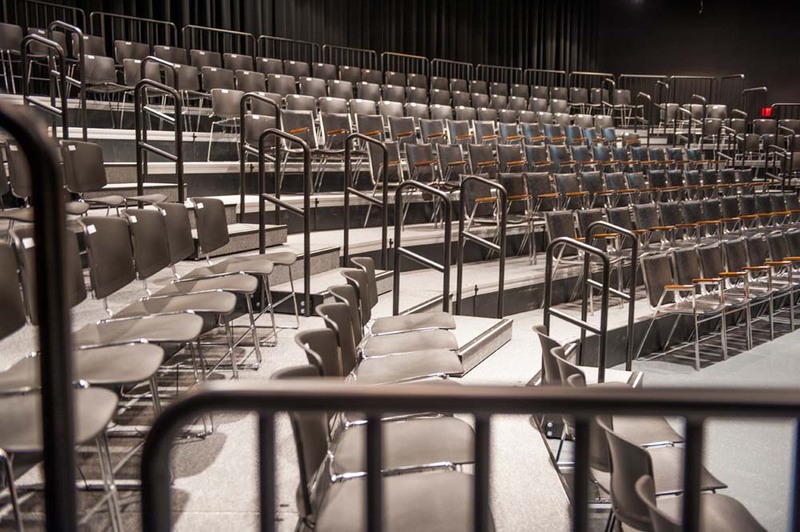 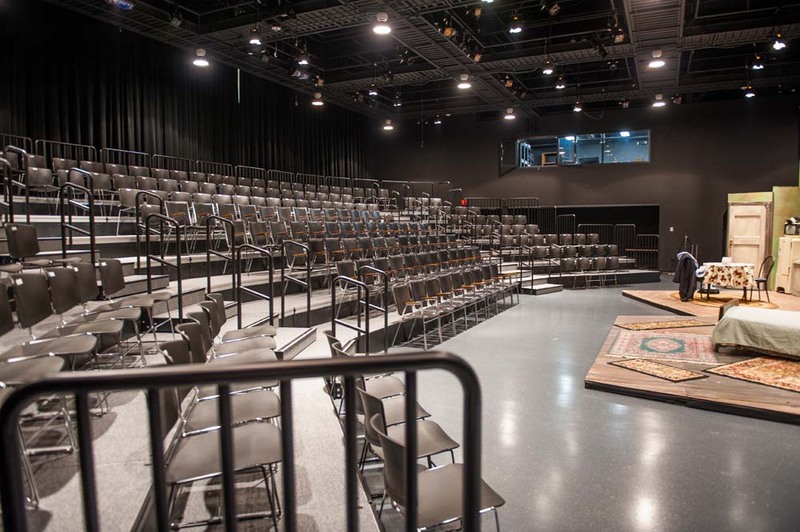 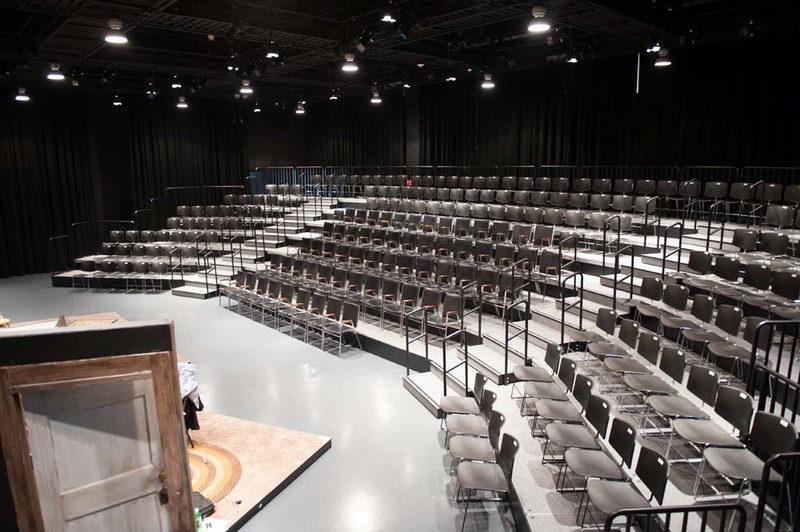 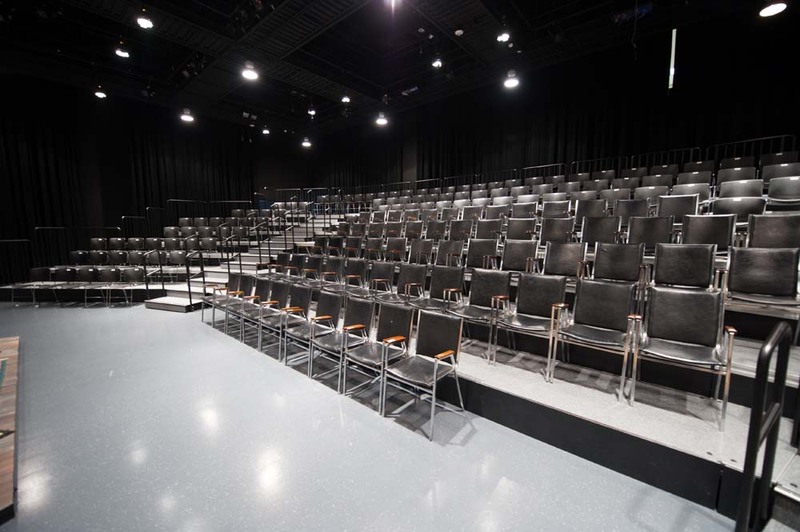 Decks span from support to support — both left and right & front to back — for quick and easy changeover of the seating configurations in this multi-purpose space.